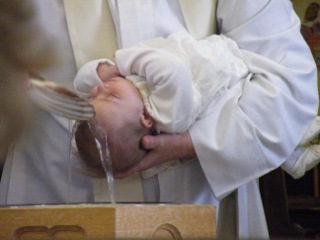 We are really pleased that you are thinking of having your child/children baptised at St Nicholas. Please phone 01932 221621 to make an initial enquiry and book an appointment with a member of the clergy who will be able to provide you with more information. 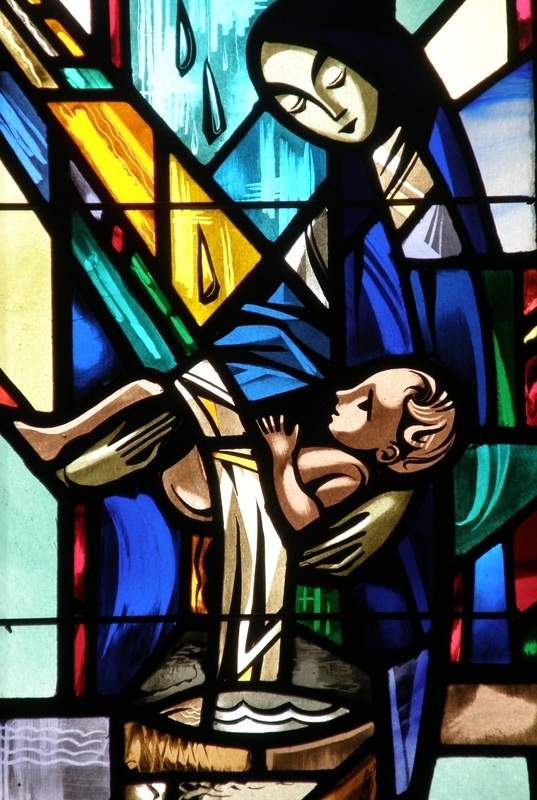 You will initially be given a letter to read explaining how baptism is not just about the day of the christening. If you feel you want to go ahead with the baptism, we will discuss the letter with you when you come to the second meeting to discuss dates. ​(Please see the list of available dates below). Baptism is the start of your child’s Christian journey and we want both you and them to feel comfortable and welcome within our community. To help this process we ask that you bring your child to one of our Sunday morning services for a thanksgiving before the baptism and again after the baptism to allow them to be welcomed into the family by the rest of the congregation. Where possible these dates will be agreed with you when the baptism is booked. You will be asked to attend a baptism preparation evening where you will have the opportunity to meet other families having children baptised, a member of our baptism visitor team and a member of the clergy will be present to explain the significance of baptism within the Christian tradition. Godparents are most welcome to attend this session with you. Before the baptism one of our baptism visitors will contact you to make a mutually agreeable time for them to visit. They will be able to show you an order of service and answer any questions you may have about practical arrangements. 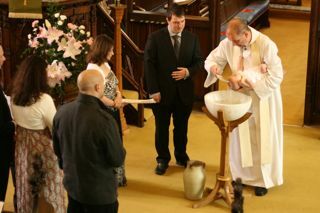 We also welcome older children and adults for baptism who have not previously been baptised. In these circumstances preparation for baptism would be arranged on an individual basis between the candidate and the rector. 2019 - February 17; March 17; April 14; May 19; June 16; July 21; August 18; September 15; October 20; November 17; December 8. These evenings are for adults, not for the children being christened. If Godparents are available they will be very welcome. 2019 - February 25; April 1; May 13; July 15; September 2; October 14; November 25.